LAJEVARDI, S.M. , HUSSAIN, Z. M.
Facial expression recognition has numerous applications, including psychological research, improved human computer interaction, and sign language translation. 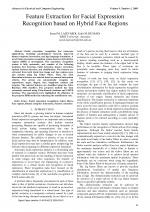 A novel facial expression recognition system based on hybrid face regions (HFR) is investigated. The expression recognition system is fully automatic, and consists of the following modules: face detection, facial detection, feature extraction, optimal features selection, and classification. The features are extracted from both whole face image and face regions (eyes and mouth) using log Gabor filters. Then, the most discriminate features are selected based on mutual information criteria. The system can automatically recognize six expressions: anger, disgust, fear, happiness, sadness and surprise. The selected features are classified using the Naive Bayesian (NB) classifier. The proposed method has been extensively assessed using Cohn-Kanade database and JAFFE database. The experiments have highlighted the efficiency of the proposed HFR method in enhancing the classification rate. 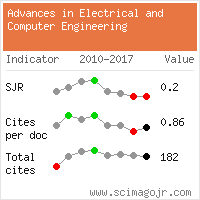 Citations for references updated on 2019-04-21 11:59 in 99 seconds.